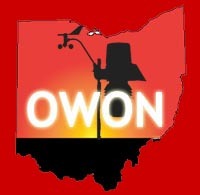 Welcome to the homepage of the Ohio Weather Observer Network! We encourage all amateur submissions of Ohio weather data to this website. Utilize our online submission form. This site is maintained by Scott Sheridan, Department of Geography, Kent State University (ssherid1@kent.edu).